From leaving home for Spain at the age of 15, to sacking the highest-paid tennis coach in the world at the age of 20, to sticking with a much-criticised game plan through some dark moments, Andy Murray has done it his way. Few sports expose a player's psyche like tennis and few sportsmen undergo such a brutal examination as Britain's leading tennis hope every summer. Smiling might not come naturally to Murray, but seven years of being taken to task over his demeanour, personality, style of play and nationality were unlikely to make his disposition any sunnier. Murray enjoyed the advantage of growing up 200 yards from a tennis club in Dunblane as the son of a national coach - but the talent was always there. His first coach from the age of 11, Leon Smith, said he had never seen a kid with such ability. Pato Alvarez, the teenaged Murray's Colombian coach, declared: "I was the national coach of Spain for 16 years, and Andy Murray is the best player I ever worked with." 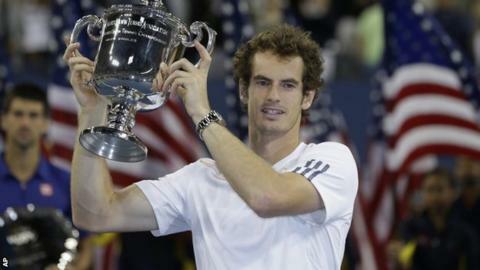 Murray won the prestigious Orange Bowl title aged 12 and three years later, unimpressed by an offer from a British academy in London, left Scotland for the Sanchez-Casal Academy in Barcelona. That signalled a frosty relationship with the LTA that has endured to this day. When asked in the past if he could one day see himself taking up a role with the governing body, a light-hearted interview shuddered to a halt with a thin-lipped, "No." Relations might thaw over time - his mother, Judy, and former coach, Smith, have taken up senior positions at the LTA in the last 18 months - but Murray is not generally one for changing his mind. The Barcelona academy's co-founder, Emilio Sanchez Vicario, remembers him as "very quiet and shy when he first arrived", and the young Scot kept himself to himself, focusing all his energy on learning from the country that was in the process of taking over the men's game. The relentless hitting drills honed his talent and instilled a structure and discipline that remains to this day in Murray's punishing training regime. Significant defeats are nearly always followed with the Murray mantra - must work harder, must get fitter. Hard work and pure ability took him very close to the top of the game, rising from 375 in the world on his 18th birthday to the top 10 before the end of his teens. A brilliant backhand, natural court craft and almost supernatural anticipation on the return, allied to his rapidly improving movement, made the Scot too much for almost all-comers. He beat Lleyton Hewitt for his first ATP tournament win in San Jose in 2006 and began to rack up the titles. But there was a problem. Three problems to be precise. Roger Federer, five years older and hailed by many as the best player ever; Rafael Nadal, just a year older than Murray and already a Grand Slam winner; and Novak Djokovic, exactly a week younger than the Briton and following an almost identical trajectory to the top. Murray's early experiences against Federer were encouraging and the Swiss seemed rattled when he suggested in 2008 that the Briton played too passively and was "going to have to grind very hard for the next few years if he keeps playing this way". But the great man's thoughts echoed those of many observers, frustrated that Murray would not take the initiative in matches more often. Federer blitzed Murray with an attacking display in the Scot's first Grand Slam final at the 2008 US Open, and by the time Djokovic made it three major finals without a single set for Murray at the 2011 Australian Open, the narrative was fixed. Coaches had come and gone without sentiment over the years, with Brad Gilbert parachuted in at great expense by the LTA in the early years only to be sacked by Murray 16 months later, the American having been subjected to plenty of on-court abuse from his charge. A highest ranking of two in the world, a lengthening list of ATP and Masters Series titles, numerous victories over Federer, Nadal and Djokovic - none of that mattered every summer when he fell before the second Sunday once again. There is only one barometer of success for many and that is winning Wimbledon. And if Tim Henman was caricatured as too middle class and polite to ever be a real winner, Murray was too petulant and negative, too 'passive' when faced with the big boys. Murray had to take his share of the blame for the perception. The gurning, groaning, screaming face so often seen on court became the image that casual observers had of him in the absence of much evidence to the contrary. Reports from those behind the scenes on the tennis tour, those who book courts and cars, arrange interviews and hotels, would describe Murray as unfailingly polite. On court, though, he could appear anything but. There were technical issues holding him back as well, although few opponents were good enough to expose them. A potentially devastating first serve was too often inconsistent, the second serve vulnerable to attack, and the forehand down the line a work in progress. Off the court, the arrival of Wimbledon every year would unfailingly reignite the British-Scottish debate, an off-the-record quip about England during the 2006 World Cup prompting open season, seemingly forever more. Being a proud Scot and a proud Briton has never appeared to conflict Murray. He lives in England, has an English girlfriend, largely English support staff and management, and counts Englishmen among his best friends. He also retains close Scottish friends from his early years and life on the tennis tour, and was moved to tears on a rare playing appearance in Scotland - for Britain - in the Davis Cup. This summer did much to finally endear Murray to the wider British public, with his emotional response to defeat in the Wimbledon final against Federer followed by a pulsating run to victory on the same Centre Court weeks later in the Olympic singles final. That win - a first against Federer in a best-of-five set encounter - provided renewed impetus for another tilt at a Grand Slam in New York, and the absence of Nadal opened the door further. But the real clue had come back in January, when Murray pushed Djokovic to a five-hour semi-final in Australia. The arrival of new coach Ivan Lendl might just have given him the extra 5% he needed to land a major title. A similarly stony-faced character masking a dry sense of humour, the Czech-born Lendl came through in another golden era, that of Borg, McEnroe and Connors. Like Murray, he might not have won many popularity contests up against three of the best and most charismatic players ever, but Lendl ended his career with eight Grand Slam titles. Murray will have to go some to get anywhere close to that total, but after New York his ambitions will reset and the one characteristic that has marked him out since childhood will drive him on. Ruthless, bloody-minded and - it would seem - well-placed faith in himself.